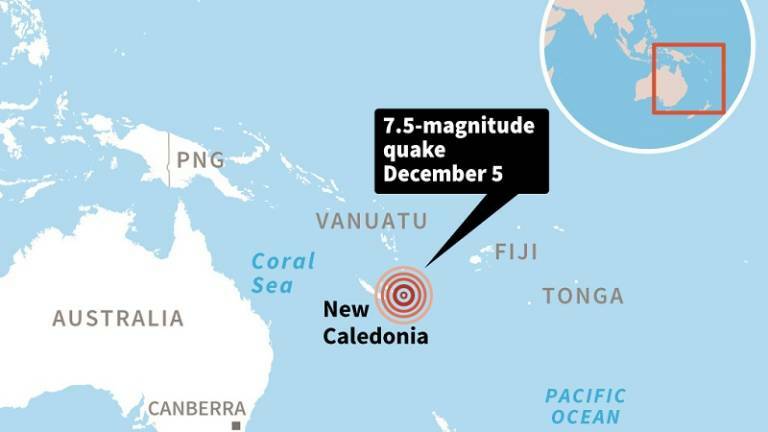 07 Dec 2018 / 14:40 H.
NOUMEA: A strong earthquake with a preliminary magnitude of 6.2 struck east of the Loyalty Islands near New Caledonia in the South Pacific this morning, the US Geological Survey said. The quake hit at a depth of 26km about 189km east-southeast of Tadine in the Loyalty Islands, the USGS said. There were no immediate warnings from the Pacific Tsunami Warning Center.